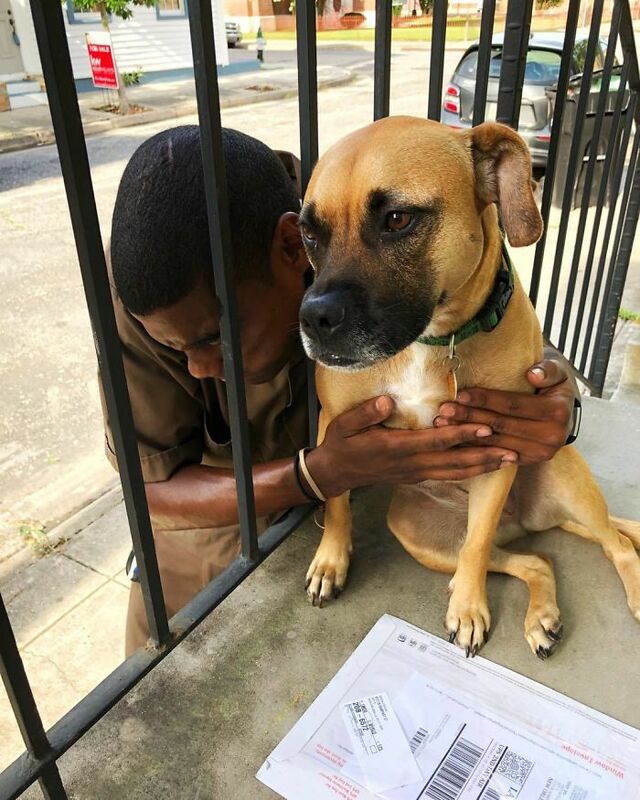 Many of us have stopped in our tracks at the sight of a dog crossing our path on the street, or staring back at us through the gaps in the fence and there always is an urge to go over to them and give them a pet. 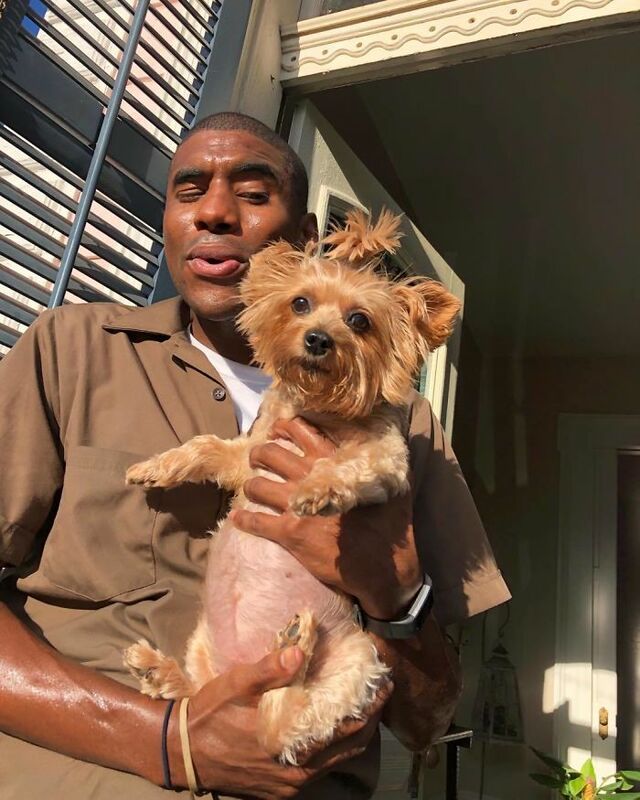 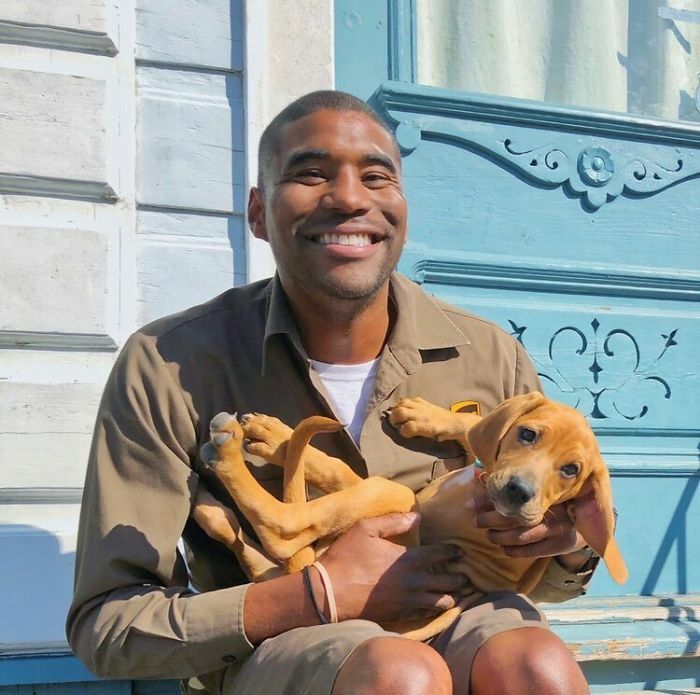 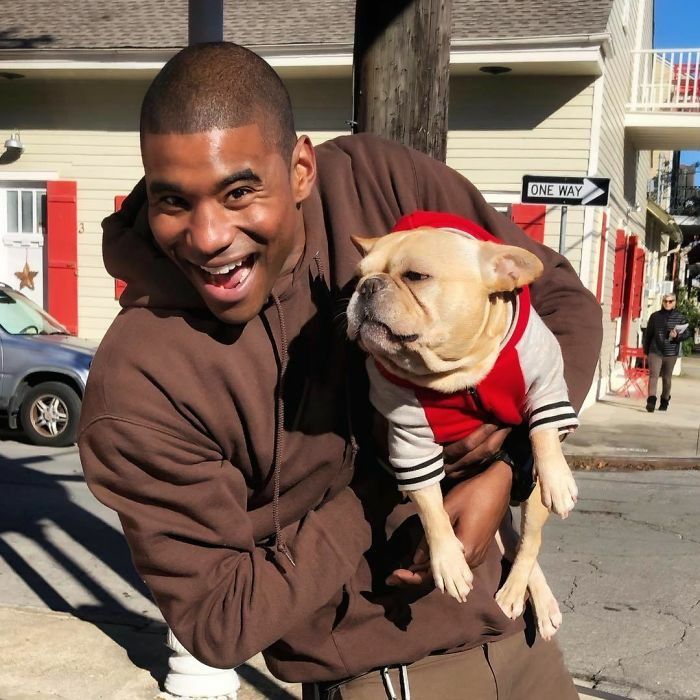 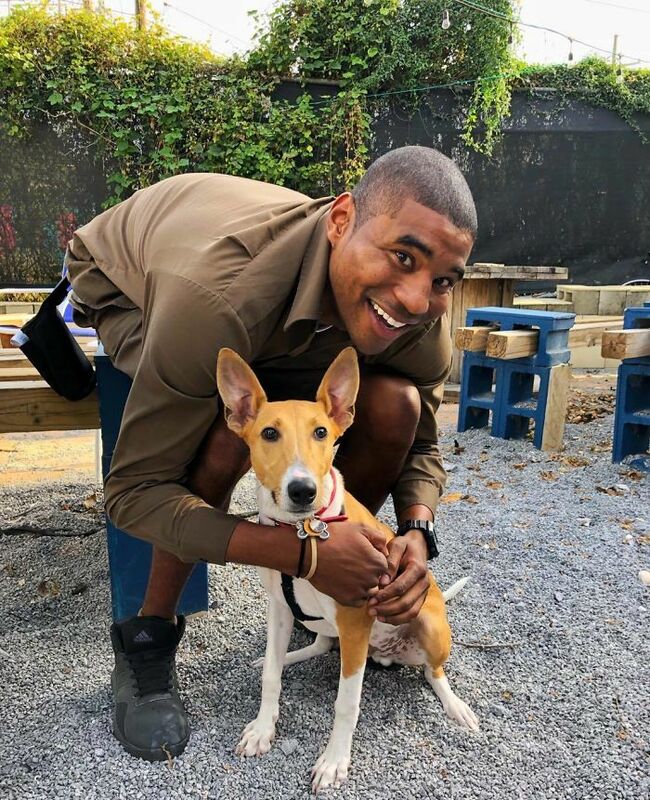 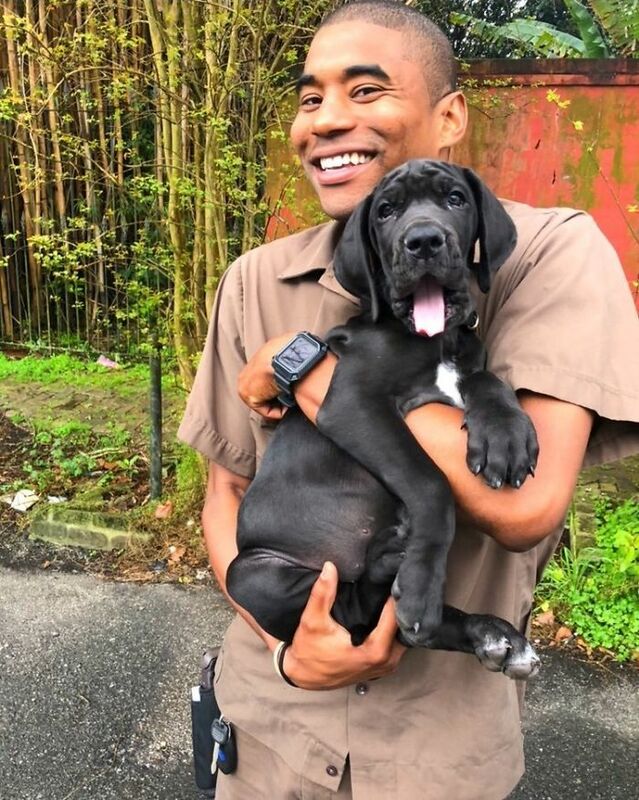 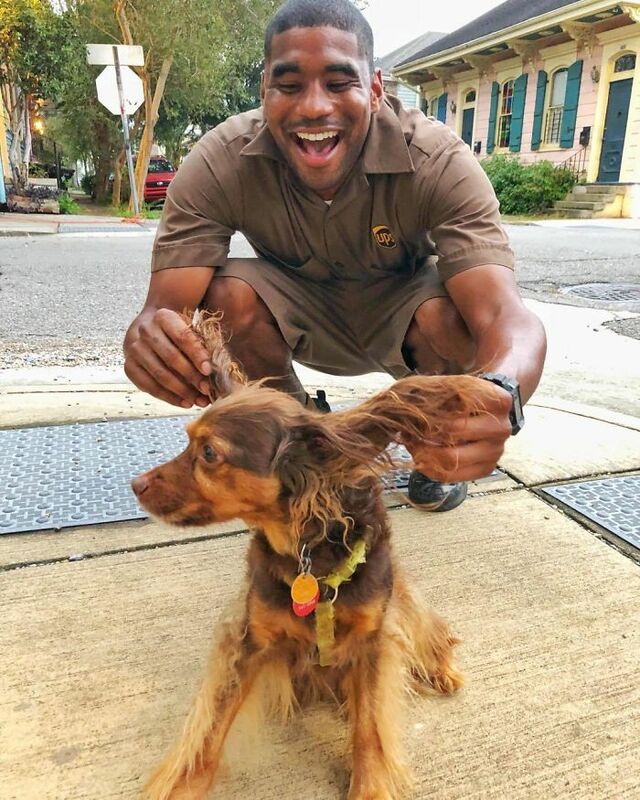 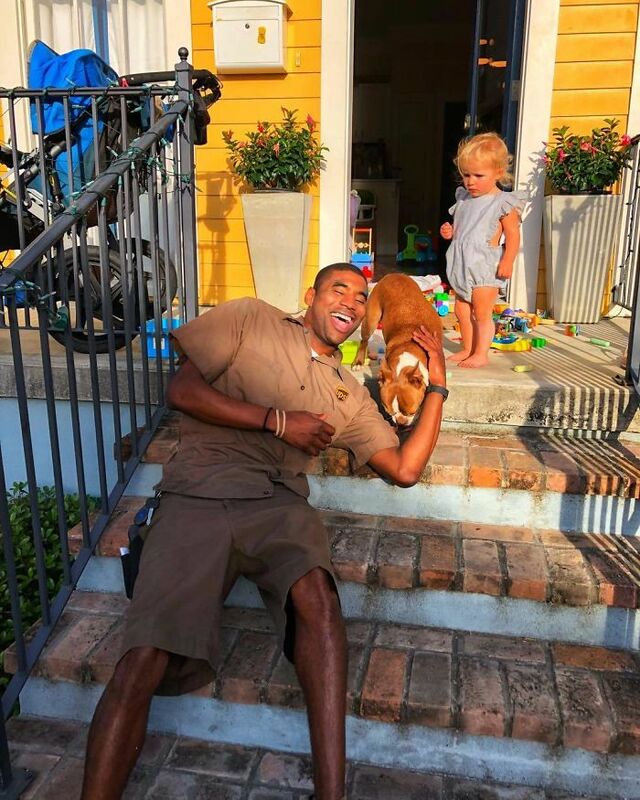 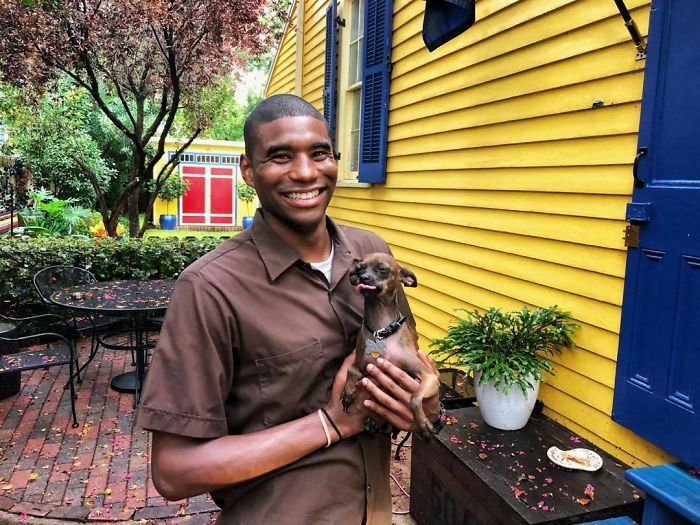 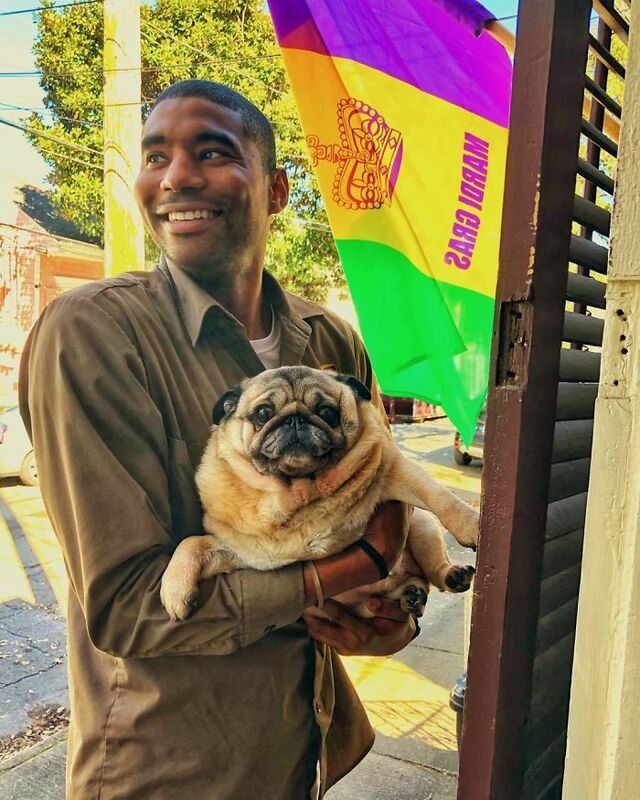 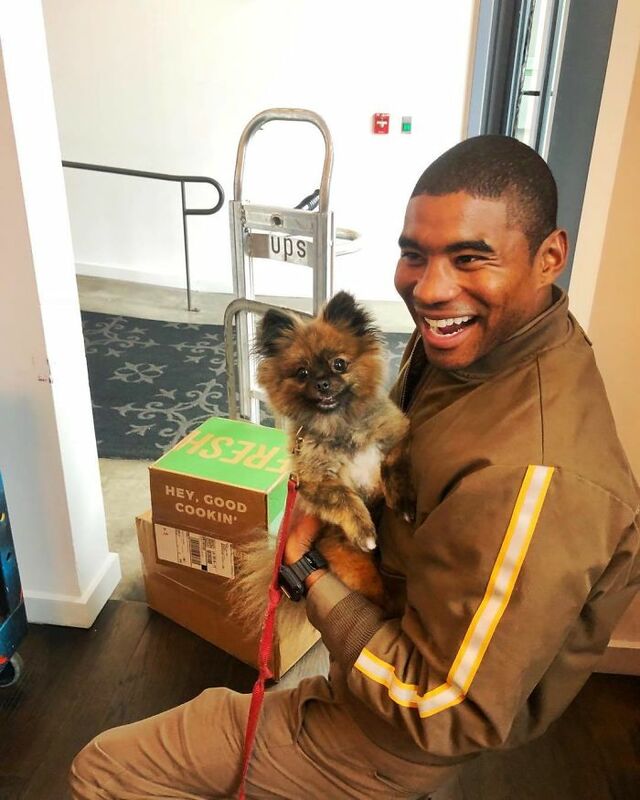 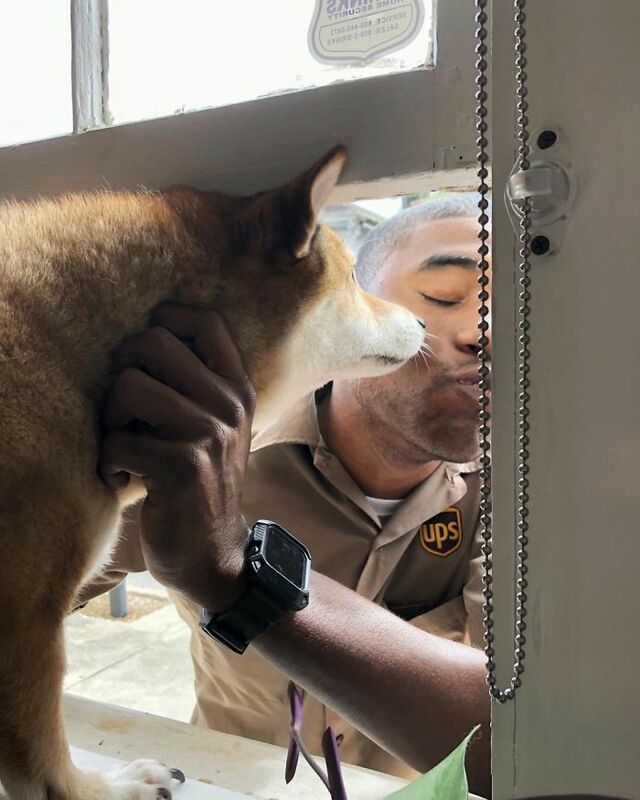 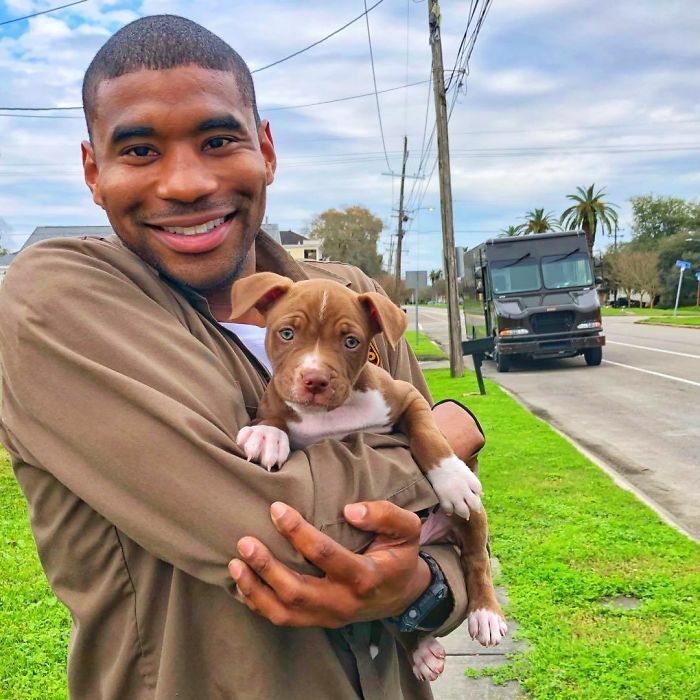 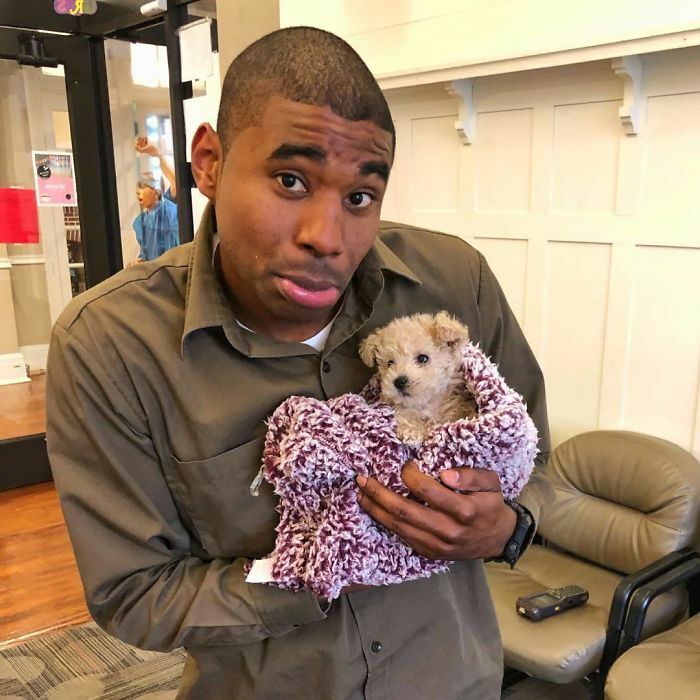 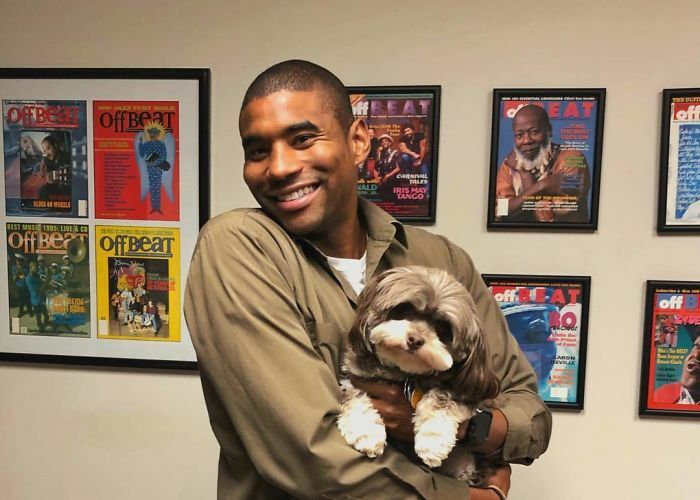 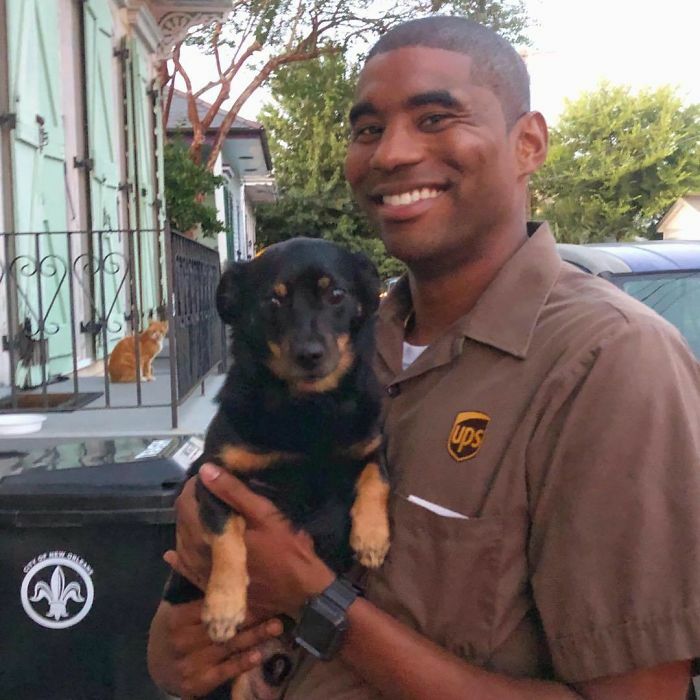 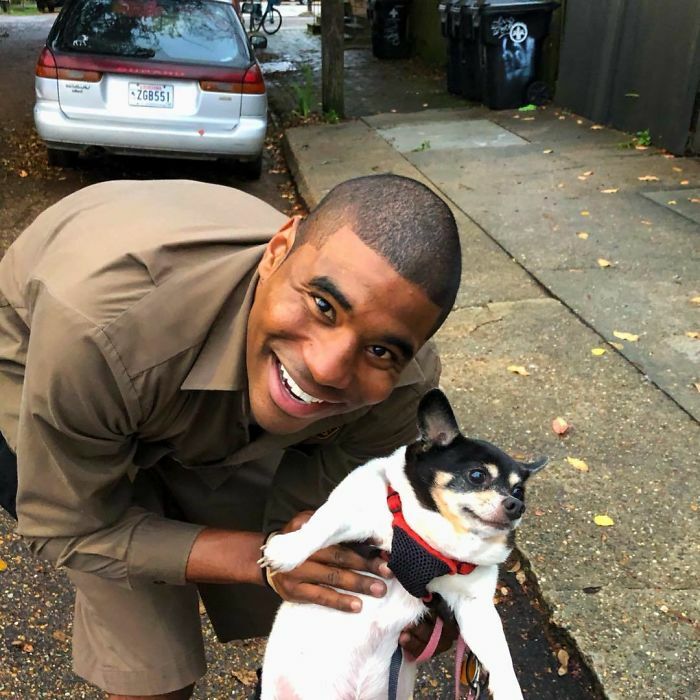 UPS drivers are no exception to that urge and they’ve started a beautiful tradition to snap pictures with dogs they meet on their route at work. 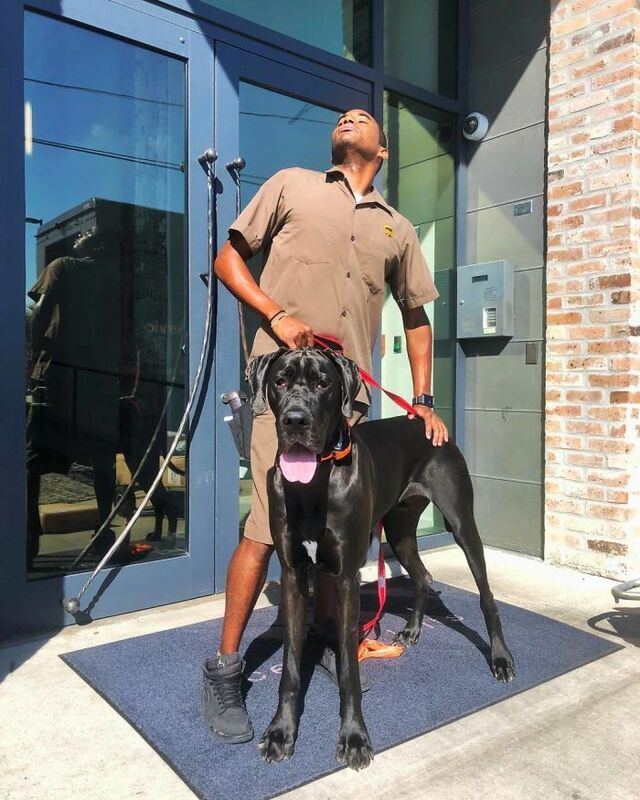 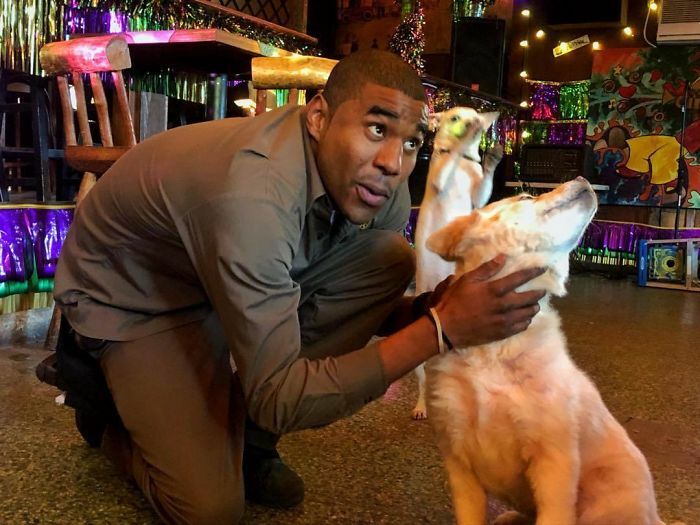 They even created a Facebook group called ‘UPS Dogs’ where they share their shots and experiences. 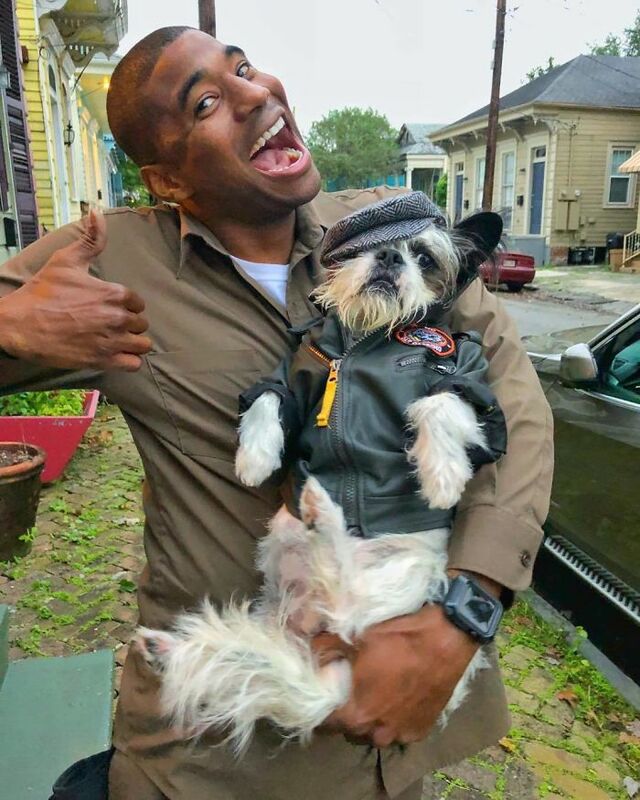 One of such drivers is Jason Hardesty from New Orleans, Louisiana. 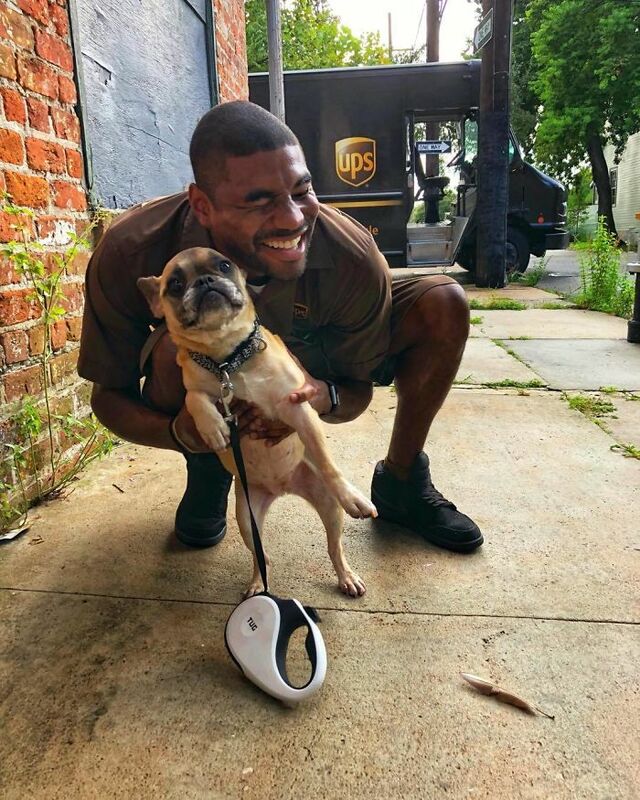 He describes himself as “a very easily entertained UPS driver” and that’s evident in the photos he posts to his Instagram page. 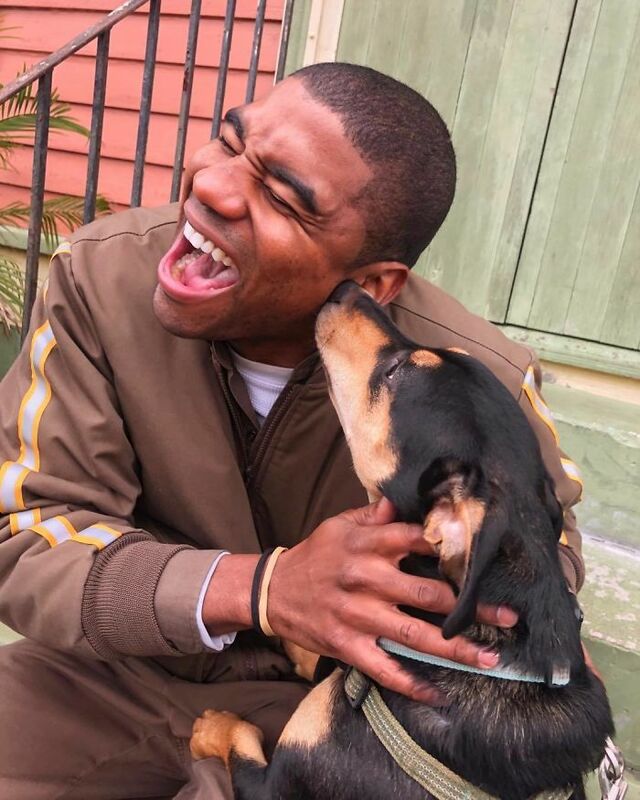 He started sharing snaps of himself with dogs a little over a year ago, using a hashtag #pupsofjay to distinguish them from other shots. 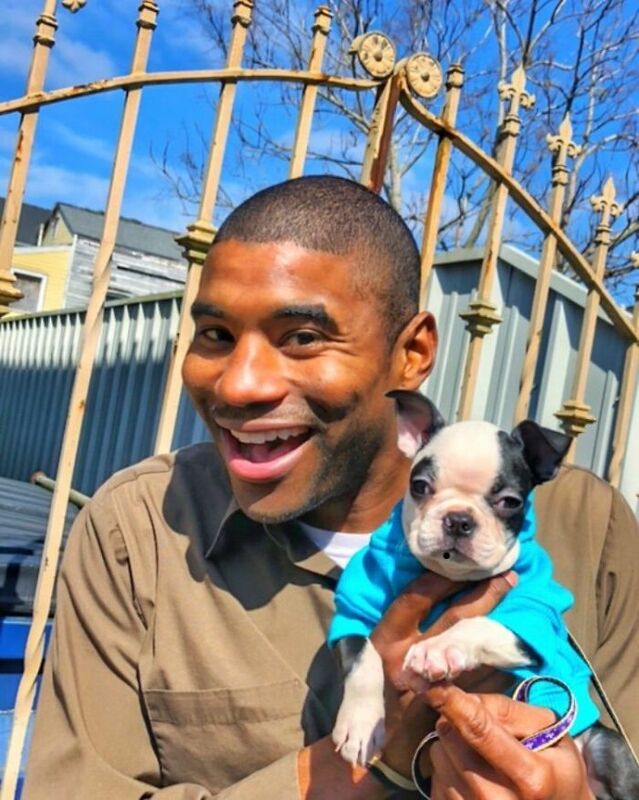 And since people like dogs and wholesome acts, it’s small wonder that people flooded the man’s page with likes. 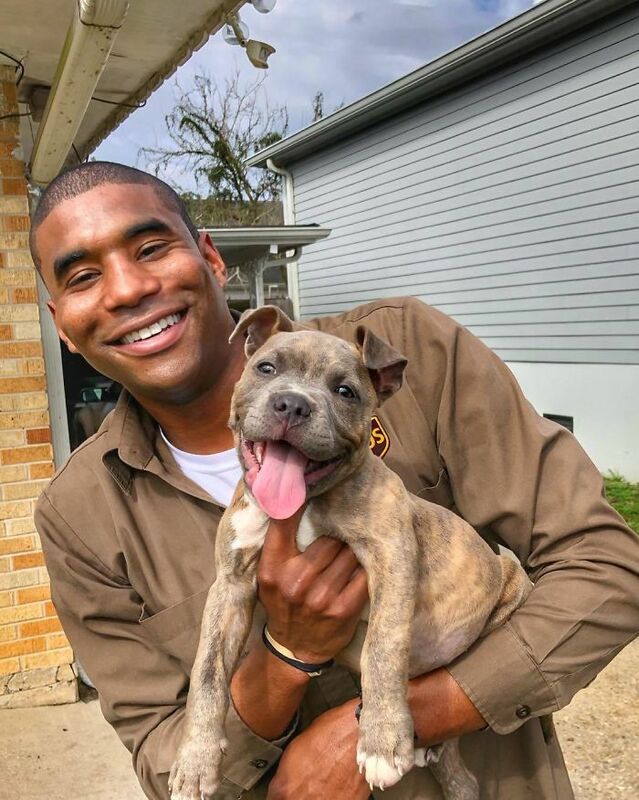 As the ‘UPS Dogs’ group on Facebook shows, there are plenty of drivers across America who meet pups and snap photos with them on a daily basis. 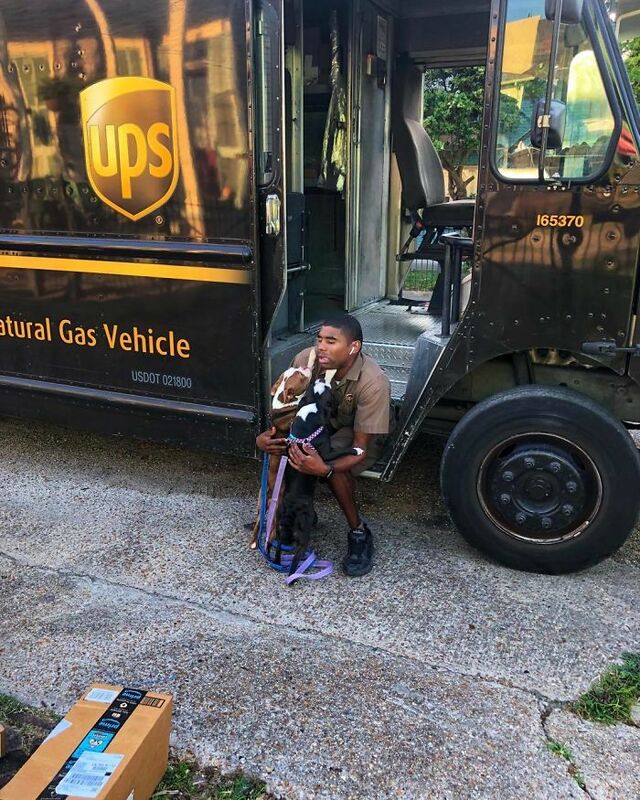 But it’s not only dogs that they come across. 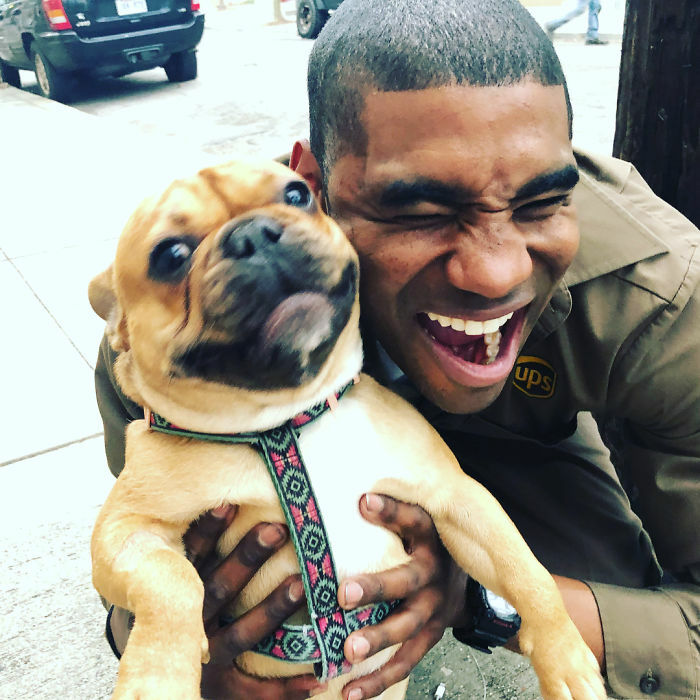 Sometimes other animals appear in the shots shared by the drivers. 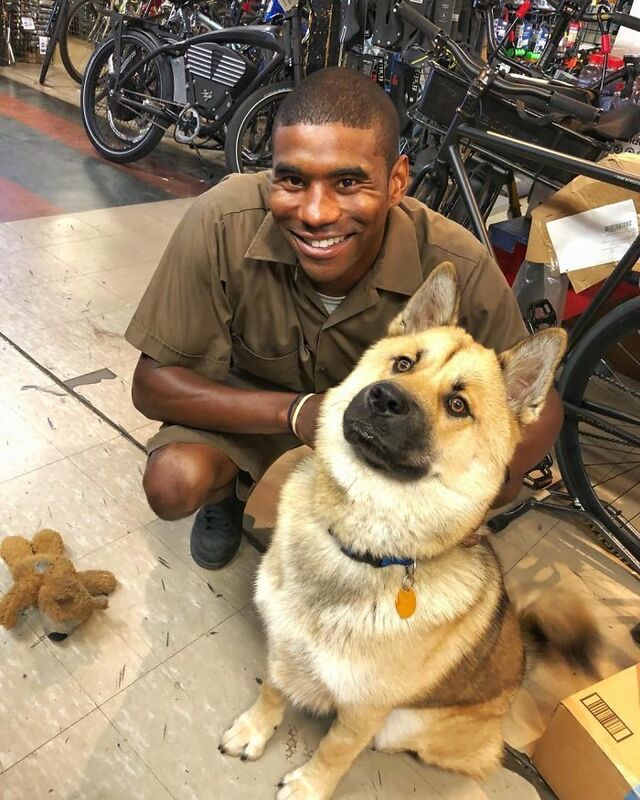 Alpacas, deer, geese, goats, sheep, chickens… the UPS drivers have seen it all! 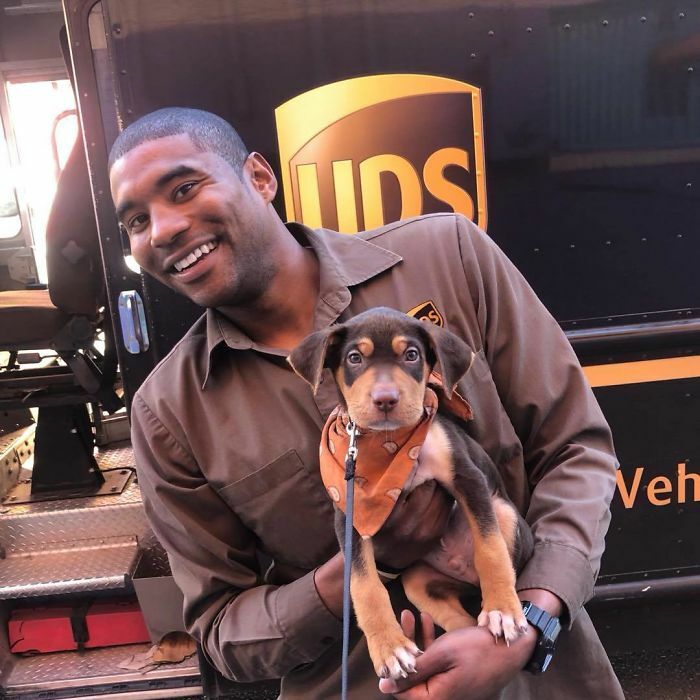 UPS or ‘United Parcel Service’ was founded in 1907, in Seattle, Washington, U.S., making it a company that’s over a 100 years old. 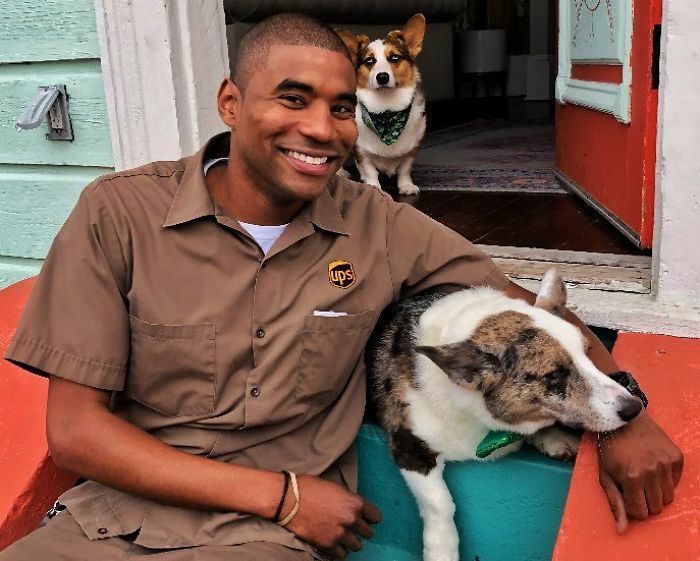 It has since branched out to a multinational brand that has 434,000 employees (as of 2016). 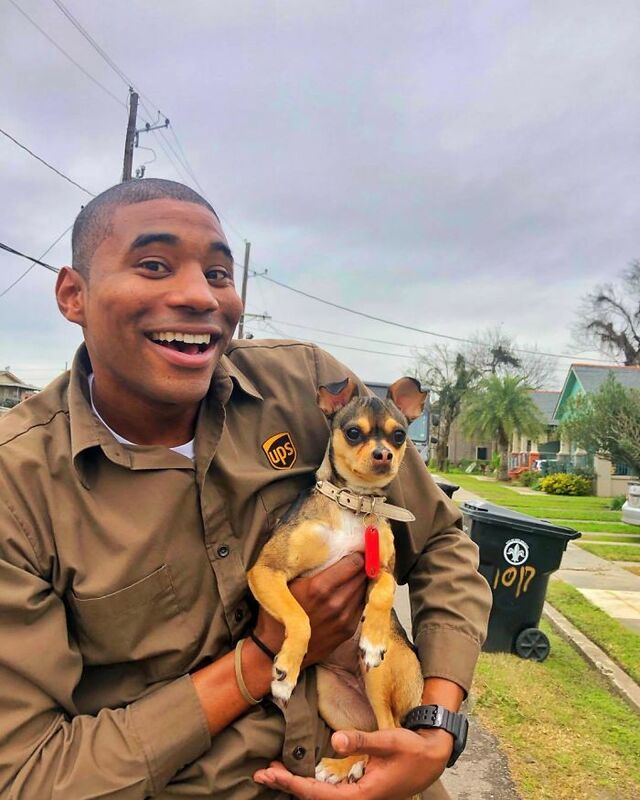 The company offers a variety of services, of which the most prominent is package delivery.